Travis Wills joins the Aspire team with 20 years of experience in the green industry spread across a handful of local, regional, and national service providers. His caring nature and strong desire to deliver excellence provided him success in many different aspects of the business. Whether in the management of field operations, field and classroom training, project design and sales, or development of long-term client partners, Travis has always looked for creative ways to serve his clients and to create opportunities for everyone to win. This nature of service was fostered at an early age growing up on the family farm in Piner, Kentucky, and continues today. Travis currently serves as a Deacon at his church, where his wife and 4 school aged children serve as well, and has always looked for ways to bring positive changes to his community through partnerships with the companies he has represented. Most notably, Travis led the efforts to receive donations of and install over 100 trees to residents whose homes were damaged by a tornado. Travis currently holds a Bachelor of Science degree from the University of the Cumberlands. 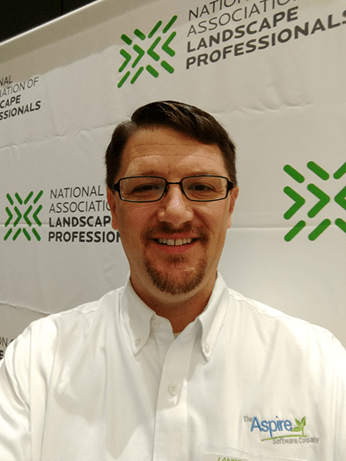 He earned his Landscape Industry Certified designation from the National Association of Landscape Professionals in 2006. When not shuttling kids to school, church, basketball, gymnastics, archery, etc. or assisting his wife with her crafting business, you may find Travis watching the Wildcats at Rupp Arena, enjoying the great outdoors, or planning the next family adventure!